This MongoDB tutorial will help you learn MongoDB from the basics, so you can make a career in MongoDB NoSQL database domain. Through this MongoDB tutorial you will know the MongoDB data modeling, creating database, CRUD operations, data aggregation, replication, sharding and more. You will also learn MongoDB administration and security aspects of it. 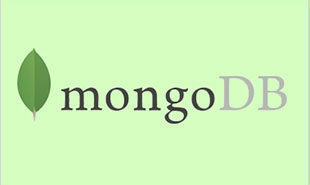 Learn MongoDB from Intellipaat MongoDB course and excel in your career. It is an open-source, cross-platform, document-oriented database written in C++ programming language.MongoDB database allows functioning such as insert, update, delete, query, projection, sort () and limit () methods, create and drop collection and many to list. Mongodb is a document-oriented NoSQL database mainly used for high volume data storage. MongoDB is a database which came into existence around the mid year of 2000s. It falls under the category of a NoSQL database. Failures are easily administered during failures. Over a decade MySQL has enjoyed its supremacy as it was an inexpensive and widely used relational database management system for storing the structured data. However with the advent of digital age the data has not remained limited to a single type but can be in any form and in massive amounts. 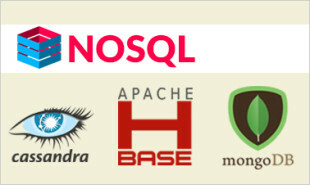 MongoDB is one the new age databases that solves some of the conventional issues. I have four years’ experience in tech domain, currently working in Cognizant. 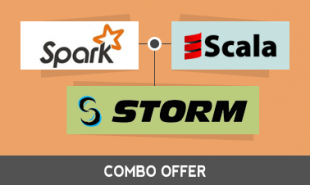 I enrolled for Intellipaat Hadoop, Oracle database administration, Java, Scala and Linux training courses. The trainers were well qualified, and experienced. The support team worked round the clock and surpassed my expectations. Become MongoDB Certified in 14 hrs. This tutorial is a quick tour on MongoDB operations and concepts. It covers step-by step installation of MongoDB framework on your system or VMware. While you start working in the professional environment, no organization teaches the installation process. Thus, it is a virtual tutor to help you successfully institute the software. It further includes tutoring on data administration, aggregation, replication, sharding and working with indexes. Along with elementary conceptual knowledge, you gain understanding of data models and document structure in MongoDB. Since it is an online tutorial, you can learn anytime from anywhere and on any of your devices-laptop, mobile phone, tablets. Our learning packages support both android and iOS, offering the ease of accession. In the end, it focuses on imparting tips to using MongoDB as per data requirements and handling it when some failures or system crashes occur. It gives you the complete know-how of working with this contemporary yet popular database. The best thing about opting for this tutorial is that you need not learn any big data processing and related technology in advance. It’s just your database concepts that can help you time and again while going through Intellipaat’s content-rich tutorial. You can relate the explanations as and when you apply it to real-time projects. 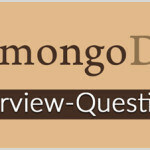 "1 Responses on MongoDB Tutorial – Learn MongoDB from Experts"
Sign Up or Login to view the Free MongoDB Tutorial – Learn MongoDB from Experts.